Katie Lentz, 19, was hit by a drunk driver and was pinned between the steering wheel and the seat of her Mercedes last Sunday. That’s when a priest appeared and prayed with her. 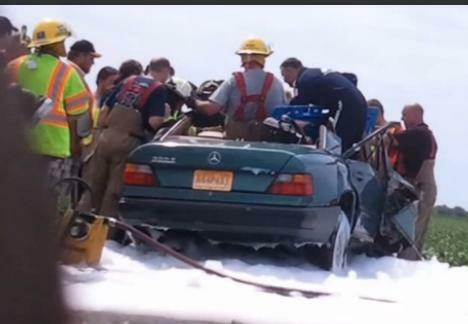 She was freed minutes later from the wreck but when the crews turned to thank the priest – he was gone. Father Patrick Dowling spoke with KHQA this week about the crash. Dowling said that he’s pleased that he was able to help by performing his ministry and said that he was one of many who responded to help the victim.